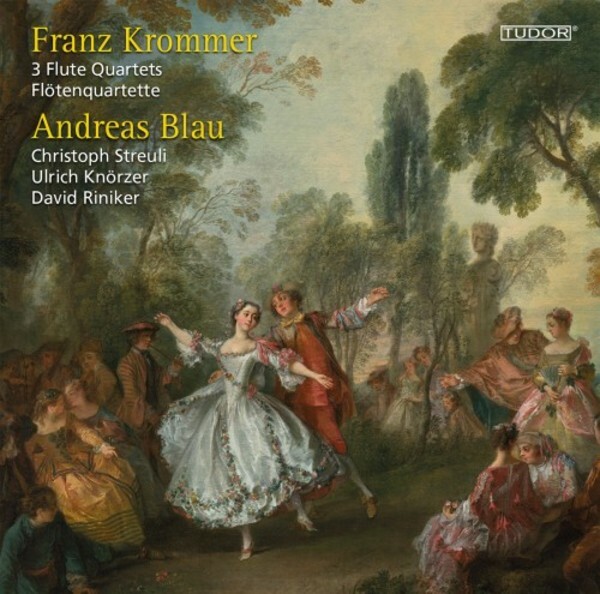 For Franz Krommer, as a contemporary of Haydn, Mozart and Beethoven, it wasn't easy to gain recognition in Vienna. His fate was to share with many other Bohemian composers the label of "minor master" (Kleinmeister). A lot has already been done to correct that injustice � partly through research (i.e. Karel Padrta's catalogue of Krommer's works), but mainly by performers. It is great that members of the Berliner Philharmoniker, by championing lesser known works, have increased their appeal. The Flute Quartets recorded here are a perfect example: the virtuosity of the flute part is well beyond what is required of the violin in the string quartets of Haydn and Mozart. The cello is an equal partner; themes are distinctive, with unconventional harmonies, and weave through all four voices; we note characteristic changes of tempo and early romantic touches. The quality of the interpretation is outstanding � it is evident that the performers are members of the Berliner Philharmoniker! A most opportune and successful rehabilitation of a so-called "minor master".